This entry was posted in News and tagged anime, Animefest, Brno, convention, Josef Capek, Karel Capek, storylining, workshop, zombie Hitler by ixarette. Bookmark the permalink. I had a great time at the workshop and it was great fun when all reservations fell apart. (Like the ponymaton and the greek alphabet – which anime can do without greek legacy.) I really liked your stories. you might remember the creeper-girl (green weird shirt – that’s the creeper part) with lack of appropriate manners. The rest of photos from whole AF will be probably ready within next few days. I didn’t even knew who you are until I googled it now. Cute and even well-known? What a combo:) I’d bet you’ll stone me for that cute part. Anyway, I’m quite looking forward to read something from you. Your talk was impressive and funny as well (oh moe), that usually doesn’t come together. here is Daniel from “Miracle Dance: Dimensions” team (title is temporary, wil be change if anyone pays for his name in title ~_^). Thank you for your workshop, it was AMAZING. Maybe I will sound like a lame fanboy, but – thanks, Thanks, THANKS! (And one thanks for your autograph ^_^)… and I take flipcharts a archive them like souvenir (I quest that NOW I look like fanboy), and with my friend Sykysan we photographed them, so if anyone is interested: http://leteckaposta.cz/417034768. And for you lecture about Mistakes about Anime – when you talk about hidden import – probably better example than Moomins (tv series came here after 1989 revolution) is Maya the Bee – huge hit in 80’s (czech premiere was in 1984) – as you can see in this opening: http://www.youtube.com/watch?v=C3O4mGORSNw – japanese participators are not mentioned and it just “kresleny serial NSR” = “animated series from West Germany”. thank you for your workshop at Animefest. It was an awesome experience. DanQ: Ohyes, I meant to mention Maya the Bee — didn’t get round to it. Well, it’s just that the workshop is designed to teach you why so many anime end up the way that they do. We went through “trended changes” since the 1960s to establish some of the technological and financial influences on anime production, but that’s not necessarily a pattern for creating a masterpiece. The workshop is all about surviving in a corporate storylining environment, creating a story using an almost industrial process. Sometimes I make it even harder: I will “fire” a member from one team, for example, and force them to take over on the other team. I will suddenly announce a new sponsor (such as the carpet company), and insist that there be product placement, or a new “chara”, like Shookie Monster, and insist that there be context integration. If there had been more time, I would have also gone through some of the unwelcome truths that concepts are forced to deal with. But there was already some of that when you were quizzing the Capek’s Machine team about the design of their boardgames. Similarly, we could have had some fun deciding that the only source of money for Miracle Dance: Dimensions was a Country & Western record label… how would that change things? What if it’s all Drum & Bass? What if Yoko Kanno is available, but only if you let her do all the music on the bagpipes? This time I let you choose your themes. But sometimes I pick themes out of a hat, and people have to work with whatever combination of stupid ideas they are given (e.g. Eco-friendly anime sponsored by an arms manufacturer, featuring frogs). The principles we were using were from anime writing manuals by some of the great scriptwriters of recent times, but not all of them like what they are doing. 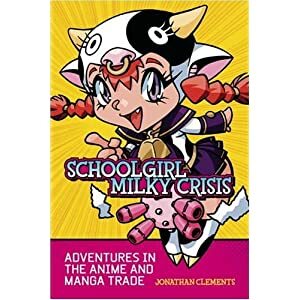 There have been accusations that modern anime is a “monoculture”, in which no matter what attempts there are to impose different patterns or themes, everything ends up basically the same. If you can define a 12-hour show as “time-travel reverse-harem with medieval magic theme” then you are already admitting that you are merely recycling patterns that others have already thought of. “It was only then that we came to understand the danger of television. Television repeatedly demands the same thing. Its voraciousness makes everything banal. We realised that television required that our state of emergency become a normal condition…. The only way to have a long-term relationship with television is to lower the level of production quality to one that can be sustained.” (Miyazaki 2009: 137-8). So the workshop isn’t really about creativity, although it does end up demonstrating some great ways of creating storylines. I really liked Capek Machine’s “flexible second- and third-season arcs”, and Miracle Dance: Dimensions’ “Greek alphabet structure”, but those are also survival strategies for achieving work targets at a studio. If you ever have to do this kind of job for real, you now have some fantastic experience at diving in the deep end and coming up with something that a company will pay for. As Milan noticed in these comments, once people’s inhibitions were down and they were ready to have stupid ideas, sometimes the stupid ideas turned out to be the best ones. Wolfi: I have been called two things in the Czech Republic that don’t happen very often. “Young”, by Jan Kratochvil at the Brno Museum of the Czech Exiles, when I went there with Skullman and Shookie on Friday*, and “cute” by you. So that’s a pretty good score for one weekend at a convention. Thanks for the photographs, much appreciated, and you have excellent manners and English. (*Although, come to think of it, he probably thought Shookie was the young one. Skullman and I just looked like old people). Storycollector, I’m glad you liked it, and thanks for saying so on your blog, too. It’s always good that conventions get feedback about what people like, because it increases the chances that they will try more of the same. Young doesn’t sound as much as a compliment to me. It somewhat feels inexperienced. I think “right age” is better (and more precise to be honest), because young is very relative. I wonder if people are getting blind, lacking taste or they just don’t point out the obvious facts that everybody can see (in a positive way)..
Hey Jonathan, don’t mean to be annoying but couldn’t find a contact email. Anyway, saw a clip from Arc the Lad on YT and it brought back so many memories of around 10 years ago at a time when anime was rare and channels like Sci-Fi were the only places to get it. I did a search for Saiko Exciting and found your blog! Hope you’re doing well, I enjoyed the show and glad guys like you were pioneers for anime. It’s amazing how many people have fond memories of Saiko Exciting, even though it only lasted for a few months, and yes, that was in 2002 so ten whole years ago. If you want to keep up to date with odd goings on in the anime world, I recommend http://www.mangauk.com — I write for them quite often, and there’s usually something new every three days.